Found in our roof, at home. We live in a house that was built in 1926.Some years ago, in 2005, we decided to convert the loft into a bedroom space. 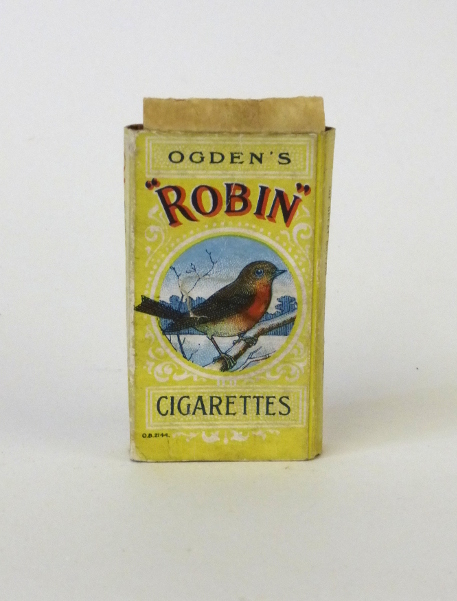 It was then that the builders found this cigarette packet on the roof’s wooden beams . It must have been sitting there since the house was built and probably thrown there by the builders at that time. It remained intact as if it was inside a time capsule until we found it again. That’s why we chose it.